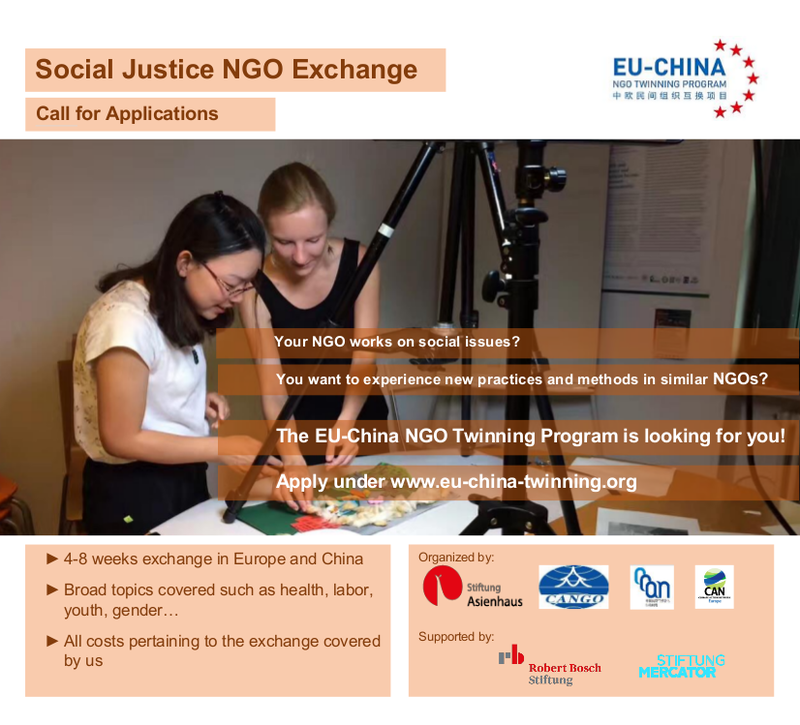 The EU-China Twinning Program is starting it’s seventh round. 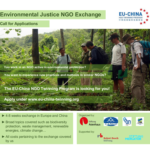 We are looking for staff of NGOs, Think Tanks and Social Enterprises operating in the fields of social and environmental justice as well as climate change and low carbon development. 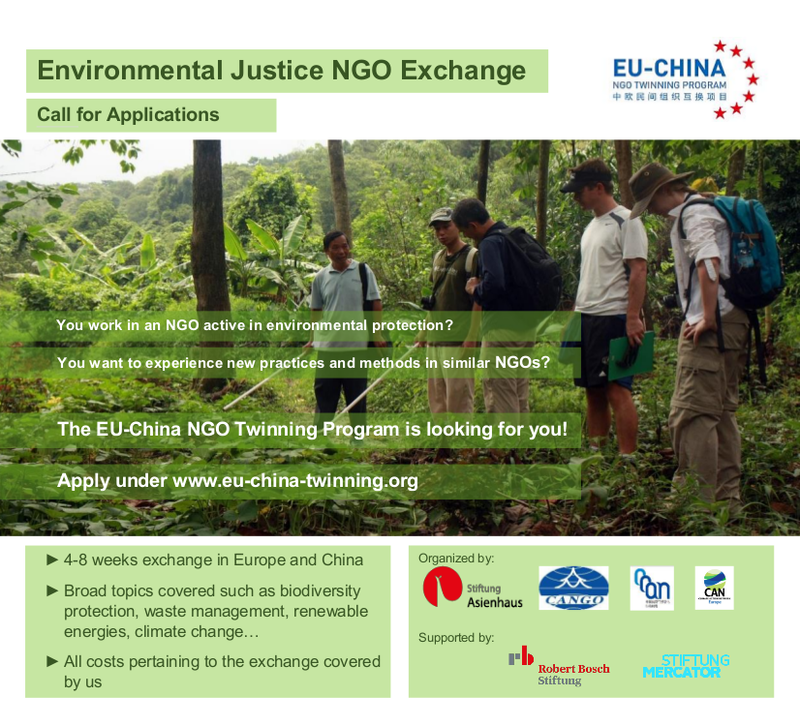 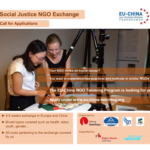 If you are working on health issues, sexual education, gender equality, LGBT, inclusion of the disabled, environmental protection, water or air pollution, organic agriculture, green infrastructure, labor rights, waste management, ….or other important issues, have a look at our CALL FOR APPLICATIONS and apply for this unique program.